ON THE MORNING of its First Birthday, a baby was found floating in a cello case in the middle of the English Channel. It was the only living thing for miles. Just the baby, and some dining room chairs, and the tip of a ship disappearing into the ocean. There had been music in the dining hall, and it was music so loud and so good that nobody had noticed the water flooding in over the carpet. The violins went on sawing for some time after the screaming had begun. Sometimes the shriek of a passenger would duet with a high C.
The baby was found wrapped for warmth in the musical score of a Beethoven symphony. It had drifted almost a mile from the ship, and was the last to be rescued. The man who lifted it into the rescue boat was a fellow passenger, and a scholar. It is a scholar’s job to notice things. He noticed that it was a girl, with hair the color of lightning, and the smile of a shy person. The baby was almost certainly one year old. They knew this because of the red rosette pinned to her front, which read, 1! “Or rather,” said Charles Maxim, “the child is either one year old or she has come first in a competition. I believe babies are rarely keen participants in competitive sport. Shall we therefore assume it is the former?” The girl held on to his earlobe with a grubby finger and thumb. “Happy birthday, my child,” he said. Charles did not only give the baby a birthday. He also gave her a name. He chose Sophie, on that first day, on the grounds that nobody could possibly object to it. “Your day has been dramatic and extraordinary enough, child,” he said. “It might be best to have the most ordinary name available. You can be Mary, or Betty, or Sophie. Or, at a stretch, Mildred. Your choice.” Sophie had smiled when he’d said “Sophie,” so Sophie it was. Then he fetched his coat, and folded her up in it, and took her home in a carriage. It rained a little, but it did not worry either of them. Charles did not generally notice the weather, and Sophie had already survived a lot of water that day. Unsurprisingly, Sophie did not answer. She was too young to talk, and she was asleep. She woke when they drew up in a street smelling of trees and horse dung. Sophie loved the house at first sight. The bricks were painted the brightest white in London, and shone even in the dark. The basement was used to store the overflow of books and paintings and several brands of spiders, and the roof belonged to the birds. Charles lived in the space in between. At home, after a hot bath in front of the stove, Sophie looked very white and fragile. Charles had not known that a baby was so terrifyingly tiny a thing. She felt too small in his arms. He was almost relieved when there was a knock at the door; he laid Sophie down carefully on a chair, with a Shakespearean play as a booster seat, and went down the stairs two at a time. Charles set the baby on his knee, handed her the apple, and began to read out loud to her from A Midsummer Night’s Dream. It was not, perhaps, the perfect way to begin a new life, but it showed potential. “Katherine Rundell’s Rooftoppers, like her previous novel Cartwheeling in Thunderstorms, is the work of a writer with an utterly distinctive voice and a wild imagination. I admire her novels very much, and I hope they find the success they deserve. I’m certainly looking forward to her next." 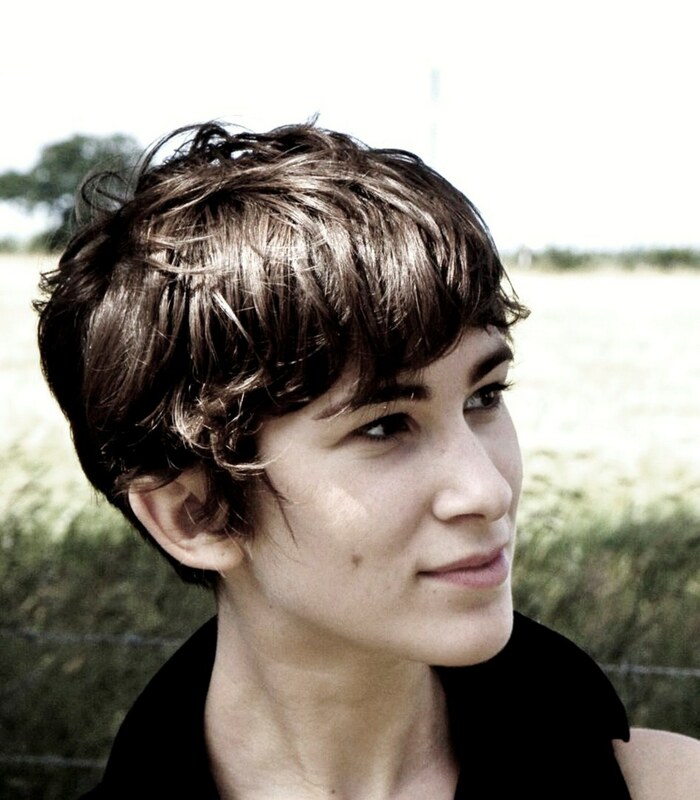 "Katherine Rundell's Rooftoppers is a confection of lyrical prose. Bold imaginative leaps carry the reader from one Parisian rooftop to the next in this unique and beautifully written tale of a girl in search of the mother whom everyone else believes is dead." "Rooftoppers drew me in immediately and carried me along straight to the end with its original voice and lively story." "Here comes a classic... Fantastic joyous storytelling. I was entranced. This is the only book I have ever read that made me long to cook sausages on a roof. From the first page onwards I knew I was reading something that sparkled (and it just got brighter and brighter). I'm a bit jealous actually; I wish I'd written it. Gorgeous, witty, kind, amazing, vertigo inducing, breathtaking, utterly charming. I loved, loved, loved this little gem of a book. Hold your breath- this book is magic." * "Brava! This witty, inventively poetic, fairy-tale–like adventure shimmers with love, magic and music." * "The beauty of sky, music, and the belief in “extraordinary things” triumph in this whimsical and magical tale." * "A glorious adventure…the story is magic." “Some stories unfurl with such elegant wit that you feel the author must have been smiling constantly while typing away. 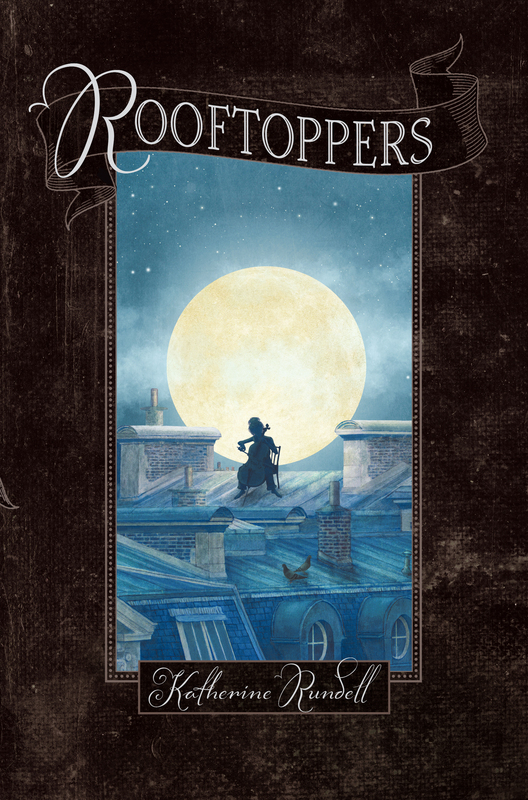 Such is the case with Katherine Rundell's Rooftoppers, a sparkling and lovely novel." "Hand this to kids who like their historical fiction with a creative edge." "Rundell’s gentle poetic style gives Sophie’s story a full-heartedness that makes it take flight at times and sweeps readers along with it...Realistic fiction with the feel of fantasy, this atmospheric novel will appeal to a wide range of middle-grade readers." “Rooftoppers, Katherine Rundell’s winsome contribution to the genre, is a throwback, avoiding the hard-boiled life lessons of the modern child’s thriller in favor of the wishful logic of the fairy tale."